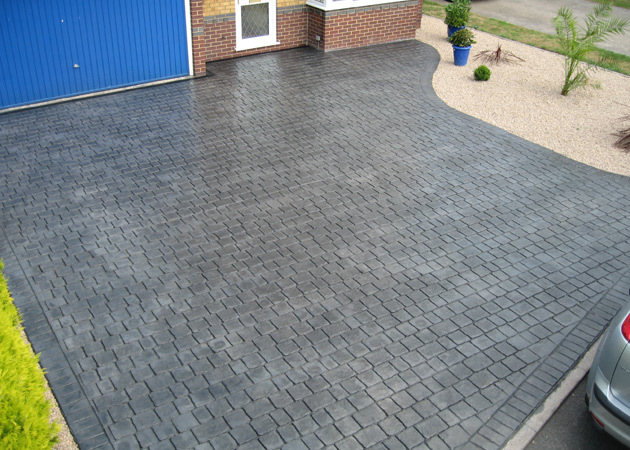 You may have noticed a few of your neighbours in Nottingham having had their drives replaced in the last year or two as their previous driveways had started to look rather shabby. If yours is not looking too presentable then now is perhaps a good time to change it. You will be pleasantly surprised just what sort of impact a brand new drive can have on the overall look of the front of your home at a reasonable cost especially when the new drive has been completed by Abbey Drives. Not only can it improve the appearance but also the valuation of your home may increase. You may be interested to note that we are specialists in installing a particular type of drive using a system of pattern imprinted concrete. It is also known as “Presscrete”. Presscrete is a versatile way of creating a drive to meet your own personal taste as you are able to choose from a large selection of colours and patterns. Obviously, you would want to ensure the look of your Presscrete drive is in keeping with the look of your home but that should be easily achievable from the range Abbey Drives has at its disposal. If you want to create a drive that incorporates anything other than just straight lines this is not a problem. 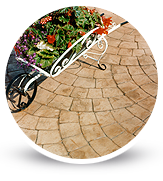 You may also find it interesting to know that Presscrete can be used to build a delightful patio in your back garden and, if you want, it can be in a completely different style to that of your drive. In doing so, we will take into account any things in your garden that are important to you such as your borders, lawns and water features. 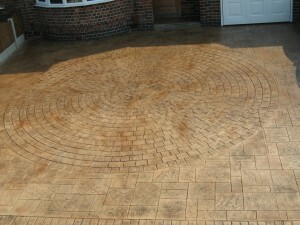 Our team of designers will be able to help in the design of your new drive or patio without any additional charge. Why not pick up the phone to have an initial discussion and we can arrange to provide you with a free no-obligation quote.